Richmal Crompton was born on 15 November 1890 and died in January 1969. She was writing until the very end of her life. Following her early life in Bury, Lancashire and life as a student at Royal Holloway, she became a teacher at St Elphins School in Warrington, where she had been a pupil. Following the death of her father, Richmal then followed her sister and mother to live in Bromley, Kent, in 1917. She was publishing ‘Just William’ stories from 1919. She was an experienced teacher and worked at Bromley High School until her life took a different direction. Richmal Crompton contracted poliomyelitis in the summer of 1923. She subsequently gave up teaching to become a full time writer. The range of her writing includes ‘Just William’ collections, novels, other short story collections and radio plays. I work in the English & Creative Writing Department at the University of Roehampton and have been undertaking research in the Richmal Crompton archive held at the university. I have been studying in particular her wonderful adult novels which are largely forgotten today and need, in my view, to be brought to a wider audience. In this blog I will share my reading journey through her work. I have already discovered many elements of her writing that other readers might find surprising. After an amazing coincidence today, I was researching Richmal’s work and found your blog. So really looking forward to future posts. Hello. Can you tell me why you believe that Richmal Crompton was not involved at all in the suffrage movement when every site I have seen that writers about her claims she was involved in the movement? I am writing a blog about my personal interest in her novels but cannot find any information that confirms either yes or no. Although I have not read the book “The Woman Behind William: Life of Richmal Crompton”; Paperback – July 23, 1993 by Mary Cadogan; this author claims Richmal Crompton was involved in the suffrage movement. From the exceprts I have read of Cadogan’s book, she also claims Richmal does not present any kind of feminist leanings in her novels. I don’t agree with that for a number of reasons. But we all read books differently! Hello. Yes, you raise an interesting point. 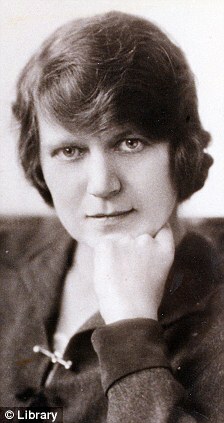 In her biography, Mary Cadogan makes a distinction between Richmal Crompton’s experience as, what she calls, a suffragist – she certainly supported votes for women – and suffragettes, a movement that Cadogan suggests she did not join. In the biography, she also argues that, in her view, Crompton was only seriously involved in feminist issues when she was at college. I would not suggest that this collection of short stories, ‘A Monstrous Regiment’, is representative of all of Crompton’s writing. It is certainly the case that women are portrayed in all sorts of different ways in her novels, but I am keen not to make too many generalisations. Having said that, however, I would agree that she is very concerned with the lives of women throughout her novels and short stories. A number of her female characters struggle to come to terms with the social conventions of the early twentieth-century, others challenge them head on, and some try to circumvent them.